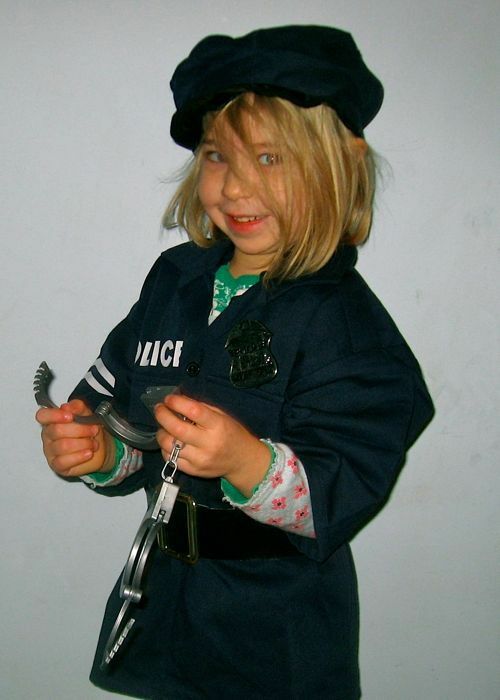 As anticipated the policeman costume we got Ruby for her birthday was the object of her heart's desire. 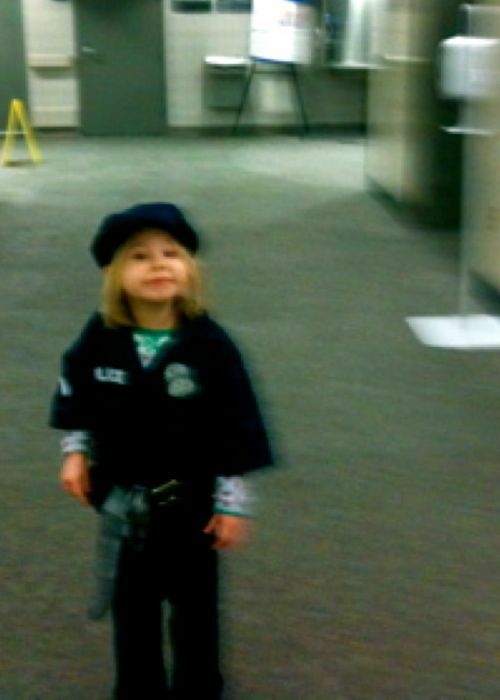 She immediately put on the hat, pants, shirt, belt, badge, and handcuffs with keys and wore them all day. After triple checking that Ruby wouldn't rather have lamb vindaloo for her birthday than a Happy Meal and repeatedly being shot down, Woo suggested that they go to the hospital where Ruby was born. Then they could go eat lunch somewhere close by. She agreed. Coming out of the hospital they saw a woman smoking in front of some no-smoking signs. Ruby: That lady's breaking the rules. Woo: Hmm. Do you want to go arrest her? Ruby (considering): No. Maybe when we come back. If she's still there. Woo: Ruby! Policemen don't just shoot someone because they're breaking the rules...! Would you like it if Mom or Dad shot you the next time you're being disobedient? Ruby: Mom, I'm feeling the Holy Ghost. Me: Oh, you are? How can you tell? Ruby: Because I feel good inside. 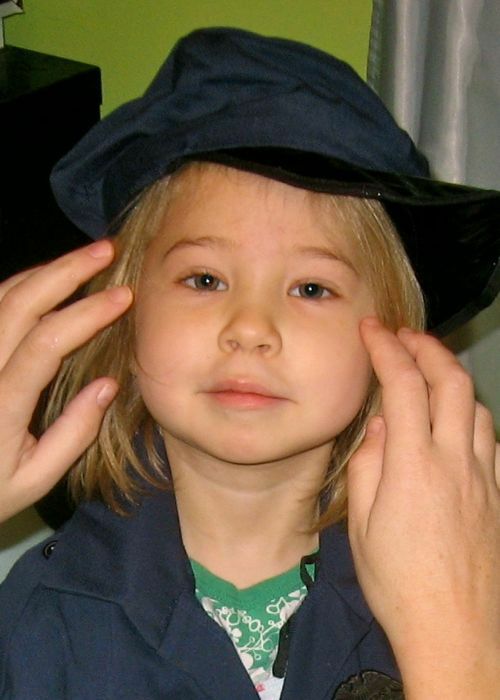 Because I'm a police.